Obituary for Marvel R. (D' Lamater) Shockey | Schaffer Funeral Home, Inc.
Marvel R. Shockey, 89, of Defiance, passed away on Tuesday morning, October 30, 2018 at Twin Rivers Care and Rehabilitation Center in Defiance. She was born on June 11, 1929 to James and Cora (Whitmore) D'Lamater in Fayette, Ohio. On November 22, 1951 she married Thomas E. Shockey, who preceded her in death on October 7, 2011. Marvel was a member of St. John United Church of Christ, and was active in the children's activities. She was a secretary for her husband's realty business for many years. Spending time with her family and grandkids was her greatest joy. 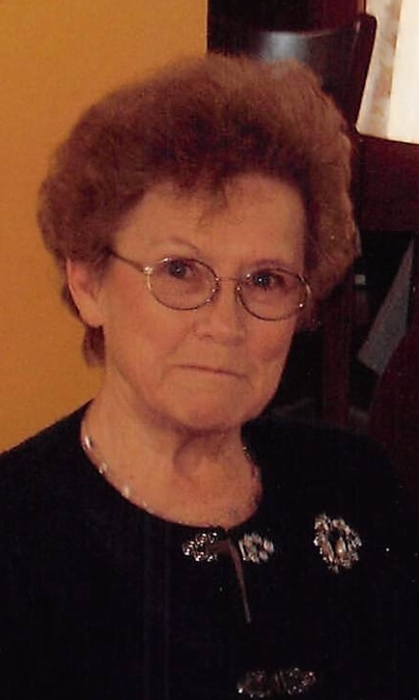 Marvel will be sadly missed by her sons, Michael (Deborah) Shockey of Mears, MI, Ray Shockey of New Bavaria, daughter Martha (James) Fenter of Bryan, six grandchildren, four great-grandchildren, and sister, Barbara Johnston. In addition to her parents, she was preceded in death by her husband, Thomas Shockey, sisters, Grace Gorringe, and Dorothy Gorringe, and brothers, Wayne, Robert, and Earl D'Lamater. Visitation will be held from 11:00 am until the funeral service at 1:00 pm on Thursday, November 1, 2018 at St. John United Church of Christ in Defiance, with Pastor David Orr officiating. Burial will follow the service at Mansfield Cemetery. Memorials are suggested to St. John United Church of Christ, or to a charity of the donor's choice. Online condolences can be given at www.Schafferfh.com.